In July 2017 Redland High School for girls amalgamated with and moved to the Red Maids Girls School site. Kersfield Developments, who have successfully redeveloped both the former St. John’s School at the top of the Blackboy and Burwalls House have submitted a full planning application to redevelop and reuse the now vacant site. 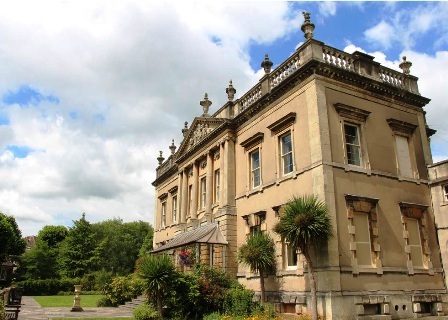 The project will conserve and reuse the Grade II* listed Redland Court in a residential conversion. There will be limited demolition and new build development, to form 43 new dwellings. The Society welcomes the proposal, which will restore the listed buildings, remove inappropriate accretions and reinstating the landscape setting of the Court. The removal of the tennis court lighting poles will improve the views along Lovers’ Walk. The removal of the top floor of the east pavilion will enable the reconstruction of the cupola and restore the symmetrical pattern of the original building. The scheme will replace the modern gym building and convert the other buildings on Redland Court Road to apartments. The Society supports the Redland and Cotham Amenities Society who object to the current design for new townhouses on Redland Court Road, which they consider too tall and out-of-keeping with the neighbouring houses. R&CAS would support the scheme if they were to be redesigned in a less assertive manner. On the 10th January 2018 a planning committee resolved to approve the proposal which had to be referred to Secretary of State because a permission would be contrary to Historic England’s advice.